Big John Mazmanian's 1970 cuda funnycar using slixx decals and a Good Stuff resin body. with a johan challenger chassis. 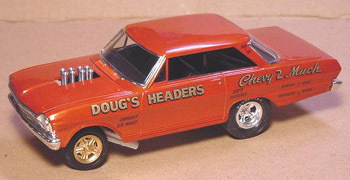 One of my all time favorite funnycars.